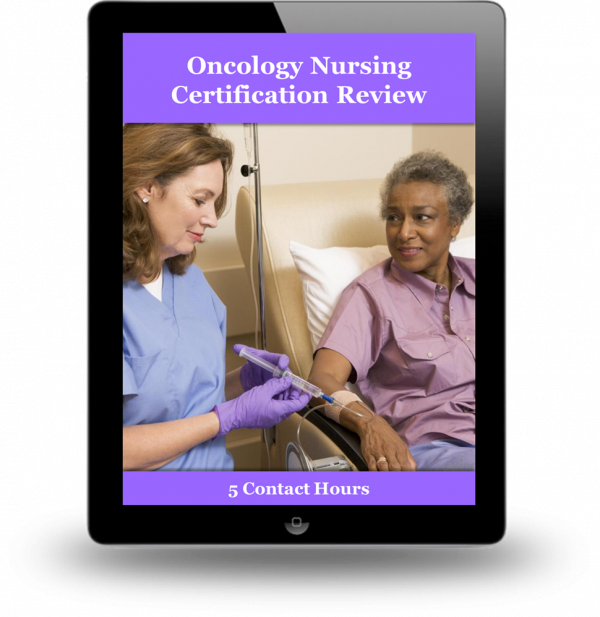 This Oncology Nursing Certification Review is a dynamic, online program designed to help you prepare to take the Oncology Certified Nurse (OCN) exam. This web-based program provides interactive exam-style questions with answers and rationales for review and study. Test-takers can also complete a full final exam and view instant feedback for each question. By the time you are done, you will feel confident and prepared to complete the final step in the certification process—passing the examination!